The end of South Vietnam came quickly. The North Vietnamese invaded in late March. Without any American support the South Vietnamese were unable to hold back the superior North Vietnmase forces. By the end of April South Vietnamese had surrendered. Despite the United States promise to enforce the ceasefire, the US Congress had other ideas. The Congress passed the Case-Church Amendment which cut off all funds for any military operations in Cambodia, Laos, and Vietnam. In addition, the US began cutting back financial support for the South Vietnamese Army. This began to effect the effectiveness of the South Vietnamese Army. Throughout the period the North Vietnamese had been resupplying and equipping their troops were no longer hampered by American air efforts. In early March 1975, a force of twenty North Vietnamese invaded South Vietnam. On March 10th 25,000 North Vietnamese attacked 1,200 South Vietnamese defenders at Ban Me Thuout in the Central Highlands. It took only a few days to overrun the South Vietnamese. After the fall the South Vietnamese order the withdrawal of all forces from the Central Highlands. At the same time, the cities in the North, Auang Tri, Quang Ngai, Hue and Danang fell, followed by Qui Nhon, Tuy How, ad Nha Trang. 12 North Vietnamese divisions soon surrounded Saigon. To oppose them were four South Vietnamese divisions. It did not take long, By April 28th the US was desperately trying to get as many Americans as well as key South Vietnamese. Evacuations were initially taking place from Tan Son Nhut airbase. 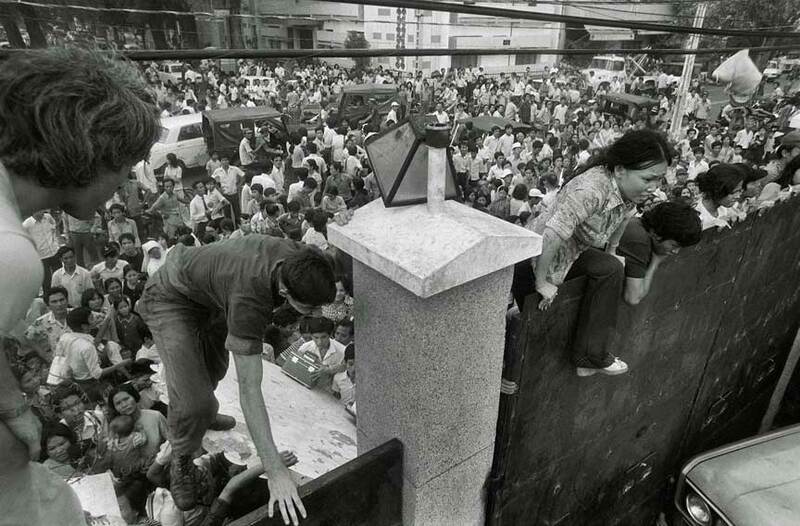 When that became untenable the US continued evacuations from rooftops in Saigon, with the last ones from the roof of the US embassy with the last one lifting off from the embassy at4: 58 AM on April 30th. A few hours later the South Vietnamese surrendered. The war was over. The United States had lost 58,000 lives. The South Vietnamese 275,000 soldiers and 465,000 civilians killed. More were killed by the North Vietnamese after they captured South Vietnam.